Printed as "Winston Churchill Portrait of Power"
His moment had finally come. It was Friday, May 10, 1940, and things could hardly have been worse. Adolf Hitler’s Wehrmacht was on the move in Western Europe, threatening to sweep across the ancient nations to the English Channel and then, for all anyone knew, to do what no one had successfully managed since William the Conqueror nearly nine centuries before: storm and subjugate England itself. In this bleak hour, Winston Churchill, now 65 years old, was summoned by King George VI to become prime minister and marshal the defenses of liberty against Nazi tyranny. Churchill, alas, was about the only one who was sure he would not fail. When President Franklin D. Roosevelt, then meeting with his Cabinet in Washington, learned the news from an aide’s scribbled note, he looked up and said that he “supposed Churchill is the best man that England had, even if he was drunk half the time.” In those early days, Frances Perkins, FDR’s Secretary of Labor, recalled that Roosevelt “was so uncertain about” Churchill that he wondered “what kind of a fellow” the new prime minister really was. Roosevelt—and the rest of the world—would find out before long. Given his war leadership, particularly during the crisis of 1940, Winston Churchill became what the philosopher Isaiah Berlin would call “the largest human being of our time.” Implacable in the face of Hitler, determined to stand alone, if necessary, and stare down the Nazi threat, Churchill won a permanent place in the pantheon of heroic leaders who have single-handedly shifted the course of history. This is neither hyperbolic nor sentimental. 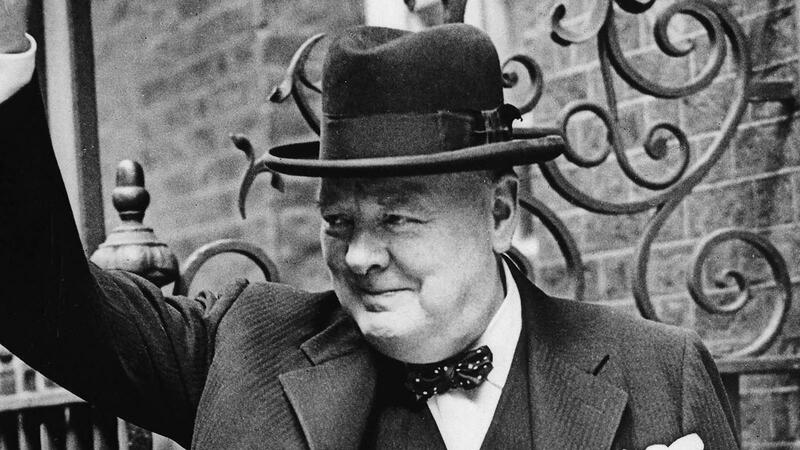 Before Churchill, England, and the West writ large, was at risk of falling under what he once referred to as “all the odious apparatus of Nazi rule.” After him, liberty was saved, and the great story of individual freedom and the rule of law rolled forward. How did he do it? How did this man of whom so many thought so little in the beginning manage to survive and prevail? There is, of course, no single answer; history doesn’t work like that. But from this distance—and mountains are usually better viewed from a distance—we are able to discern some of the key characteristics that made Churchill Churchill. First, though, we must set the scene. Born in 1874 at his ancestral Blenheim Palace in Oxfordshire, the eldest son of Lord Randolph Churchill and Jennie Jerome Churchill (an American heiress from New York), young Winston led a lonely childhood. His parents were nearly always absent, and he filled his days with dreams of martial glory, creating grand images of himself as a worthy descendant of his ancestor John Churchill, the Duke of Marlborough. Winston came of age at the apogee of Victorian imperial reach, the days when it could be truly said that the sun never set on the British Empire. Educated at Harrow and at Sandhurst—the latter is the military academy of Great Britain, to which he was sent, he recalled, because he was thought too stupid to become a lawyer—Churchill made himself famous in his early 20s as a soldier and war correspondent. This witty but insistent disposition of heart and mind was a Churchill hallmark. And he needed both a sense of humor and an iron will to endure the vicissitudes of the political arena. Elected to Parliament just before the death of Queen Victoria in 1901, he would change parties over his long career not once but twice. (Anyone can rat, he would say, but it took real character to re-rat.) When he fell from power after the disastrous landings at Gallipoli in the Great War, Churchill rejoined his old regiment and went to fight at the front—a remarkable thing for a man in midlife. Back in London in the interwar years, Churchill was seen as brilliant but erratic. Distrusted by the Tories with whom he had again enlisted, he was a passionate enthusiast, fighting lost causes ranging from the status of India (Churchill could not abide the thought of surrendering such a vast part of the Empire) to the divorce of Edward VIII (Churchill was an unapologetic supporter of the ill-fated king). When he began to focus his formidable attentions on the rise of the dictators in Europe, he was dismissed in many quarters as a warmonger. The world was tired of conflict; the staggering bloodshed of the Great War had created a climate of pacifism that led many in England’s ruling classes to see war as unthinkable. To Churchill, alas, it was all too thinkable. He detected the Hitlerite threat early on, and he later thought of the 1930s as his years in the wilderness, warning vainly about the coming cataclysm. Isolationism reigned supreme in the United States; avoidance of uncomfortable geopolitical realities was the order of the day in London. Yet Churchill persisted, arguing again and again that the democracies must prepare for war against the dictators. The German invasion of Poland in the opening hours of September 1939, code-named Case White, proved Churchill all too right. He was called back to the Cabinet as First Lord of the Admiralty under Prime Minister Neville Chamberlain, who had long sought peace, and faced wavering support in Parliament. Under pressure, Chamberlain stepped down. With the German blitzkrieg to the West in April and May 1940, Churchill was at last given the office he had coveted from childhood: the prime ministership of his beloved nation. His stewardship of the cause of Anglo-American liberty beginning in May 1940 is why men will speak of him with reverence, to borrow a phrase of his from another context, “as long as the English language is spoken in any corner of the globe.” In those fraught weeks in May, he prevented the British from reaching out to the Axis with a peace feeler, telling his allies: “It was idle to think that, if we tried to make peace now, we should get better terms from Germany than if we went on and fought it out… We shall go on and we shall fight it out, here or elsewhere, and if at last the long story is to end, it were better it should end, not through surrender, but only when we are rolling senseless on the ground.” In his magnificent hour upon the stage, Churchill drew on three principles—principles that define his leadership and which still have much to teach us. Churchill believed in leveling with his followers. He also believed that the rest of the world tended to see the world as he did. In his cosmos there was joy in the journey; without darkness there could be no light. There was a fundamental democratic instinct at work, too: Churchill held out the possibility of heroism for all, not just great men. That was one reason he so often spoke of the “long story” of the nation—in that story there was room for greatness from the most ordinary of souls. “Trust the people” had been his father’s political motto, and Churchill shared it. And the people deserved the truth, no matter how unpalatable. “There is no worse mistake in public leadership than to hold out false hopes soon to be swept away,” he recalled. “The British people can face peril or misfortune with fortitude and buoyancy, but they bitterly resent being deceived or finding that those responsible for their affairs are themselves dwelling in a fool’s paradise.” People respected candor, Churchill believed, so long as they believed their leaders had a plan for moving forward. Roosevelt learned something from this Churchillian understanding of leadership. “The news is going to get worse and worse before it gets better and better,” FDR told Americans in the winter of 1942. “The American people must be prepared for it and they must get it straight from the shoulder.” It was, in a way, the covenant of democracy: Give it to us straight, and we will do what it takes. Such a view sustained Churchill through all the years of war, in defeat and in victory. Churchill always knew he could not defeat Hitler alone. He needed America, and America was personified in FDR. “No lover,” Churchill once remarked, “ever studied the whims of his mistress as I did those of Franklin Roosevelt.” Alliances were crucial; without them things would fall apart. Wise words then, and now. Pulitzer Prize winner Jon Meacham is the author of many books, including Franklin and Winston, about FDR and Churchill.